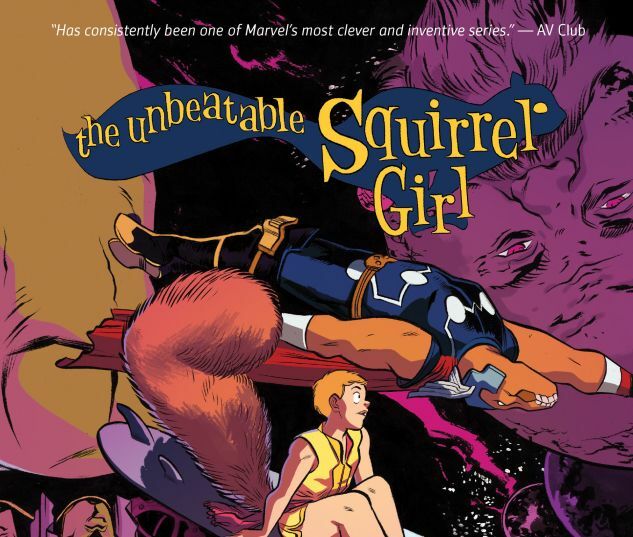 Collects Unbeatable Squirrel Girl (2015b) #27-31 And Material From Not Brand Echh #14. Journey to the Forbidden Pla-nut! 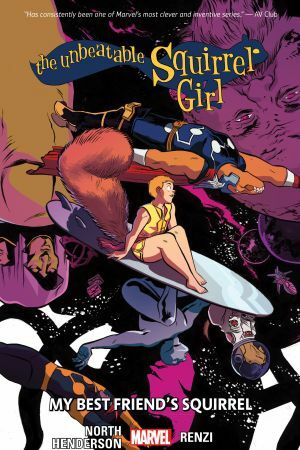 When Nancy and Tippy are transported to an alien world where all is not what it seems, Squirrel Girl must find a way to get to the other side of the universe to save them. And fast! Intergalactic transport through the cosmic realm? This sounds like a job for the Sorcerer Supreme! Doctor Strange will be only too happy to…wait, what’s that? Doctor Strange is gone, and now Loki is Earth’s Sorcerer Supreme? Oh. Well, I’m sure he’ll do his best. After all, what could possibly go wrong? Drax the Destroyer and the Silver Surfer come along for the ride as Doreen Green goes cosmic! 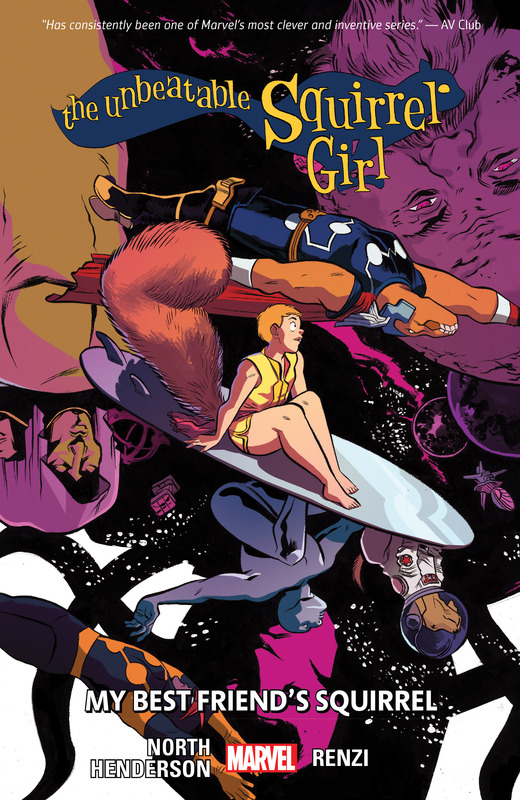 Plus: New super-powers and the kind of Squirrel Girl tale you’d never get from Brand Echh!